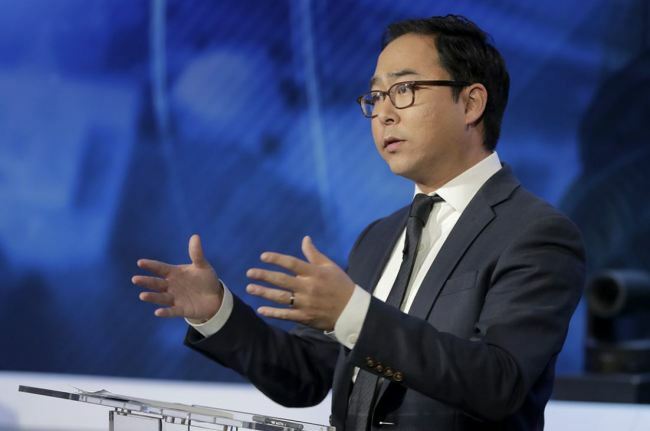 The US House Armed Services Committee formerly announced the members for the 116th congress on Wednesday, including second generation Korean-American Rep. Andy Kim (Democrat-New Jersey) in the roster. Kim will serve in the Subcommittee on Intelligence, Emerging Threats & Capabilities, responsible for dealing with defense and joint enabling activities, intelligence support and strategic communications, according to committee Chairman Adam Smith. “I’m honored to have been selected to serve on the coveted Armed Services Committee and thankful for the support of Representative Saxton and other local leaders who understand the importance of this Committee and Joint Base McGuire-Dix-Lakehurst to the region” said Kim in a statement. Kim previously worked as a diplomat and national security adviser during the Barack Obama administration and was elected to the US Congress on Nov. 14, 2018. Kim is second Korean-American to be elected to the Congress. Republican Jay Kim was the first Korean-American to win a House seat in 1992.